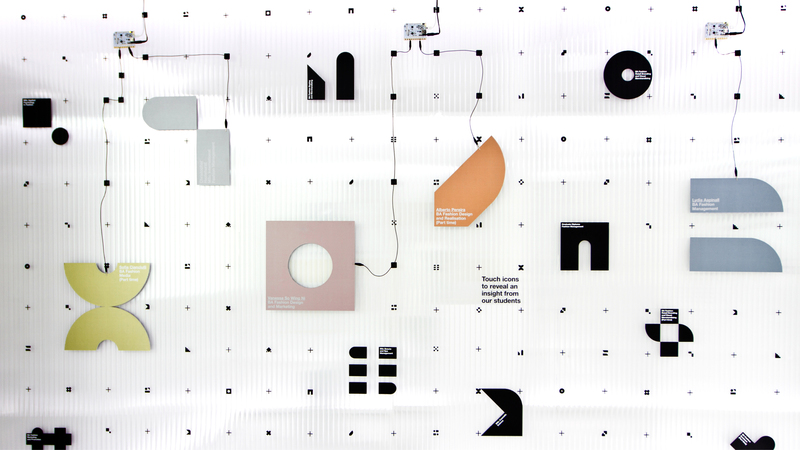 Design studio Alphabetical’s clever identity for London College of Fashion’s Fashion Business School is based on a grid system inspired by cutting paper. 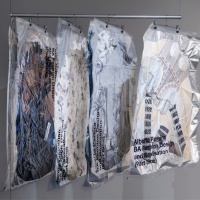 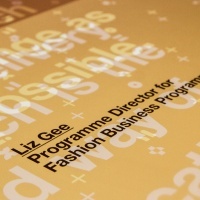 The identity aims to differentiate the school’s theory-based courses from LCF’s fashion design programmes. 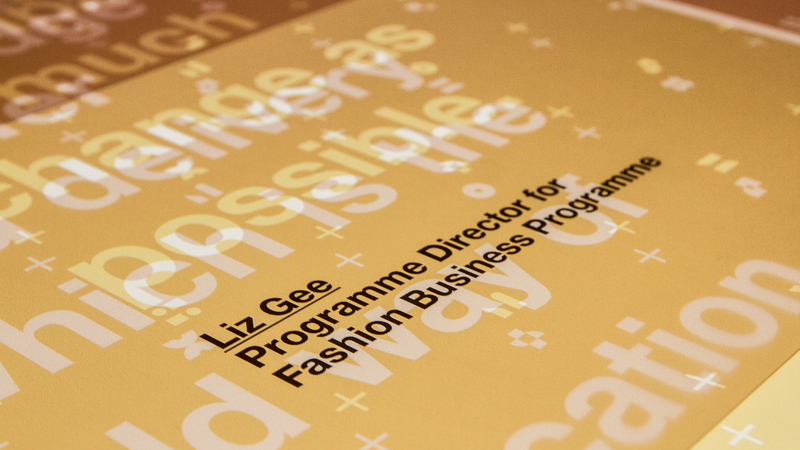 Courses include fashion management, fashion marketing and entrepreneurship and innovation. 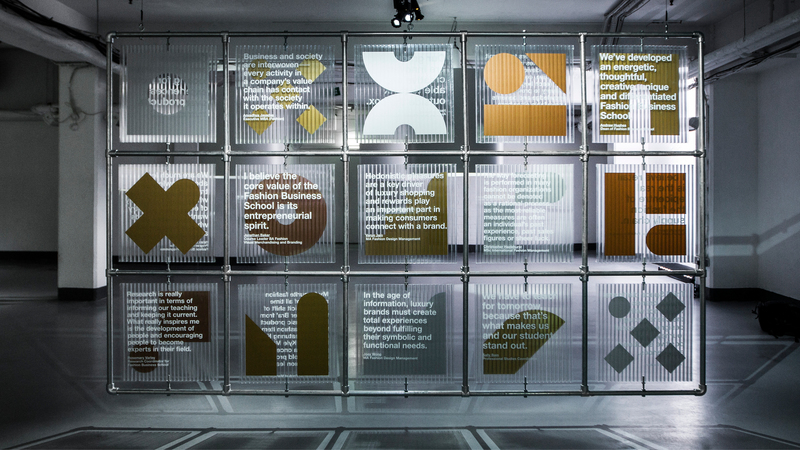 Inspired by the spot and cross-patterned cutting paper often used by designers, Alphabetical created a grid made up of 21 icons – one for each of the school’s courses. 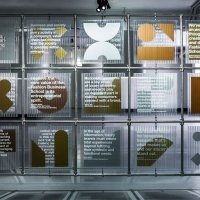 Alphabetical also worked with Territory Studio to create a series of animations bringing icons to life. 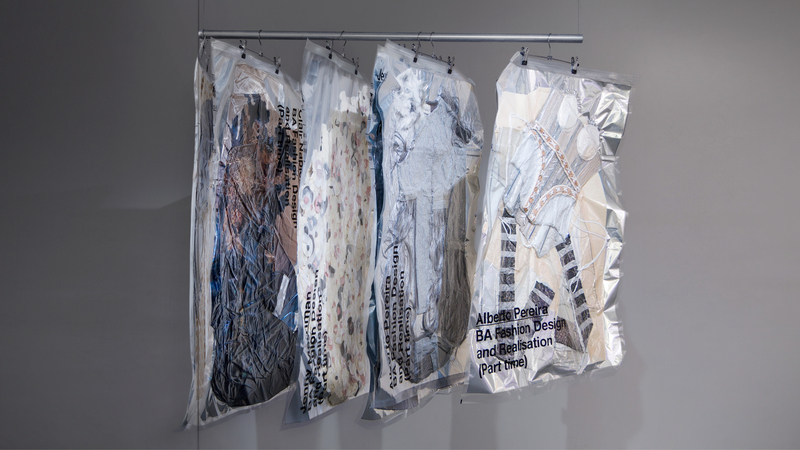 Animations highlight key themes in students’ work and feature audio by Tim Cowie, who distorted recordings of sewing machines and scissors cutting fabric. 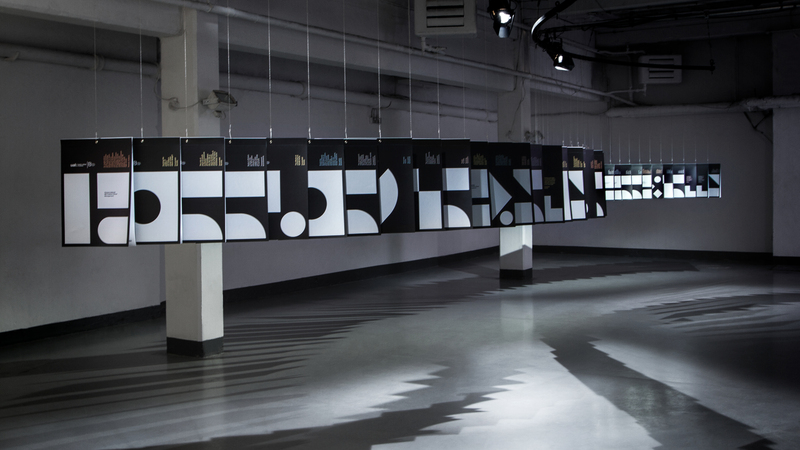 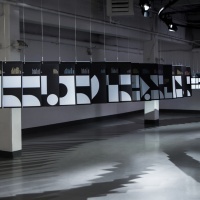 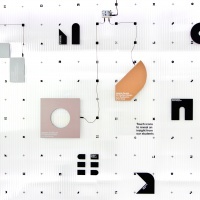 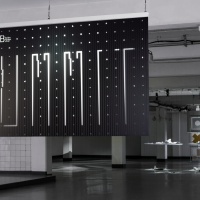 The studio also designed installations for a series of events promoting the school’s courses. 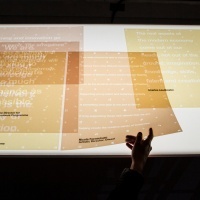 Visitors could touch icons on an interactive sound wall to hear students talk about their work or flip panels on a rotating wall to read comments about various programmes. 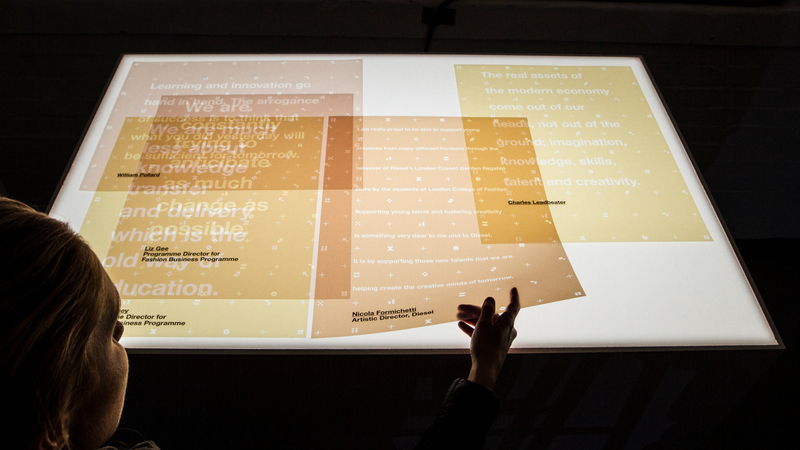 Designs were displayed alongside screens projecting animations, films and talks on the future of fashion, as well as large-format booklets showcasing student dissertations. 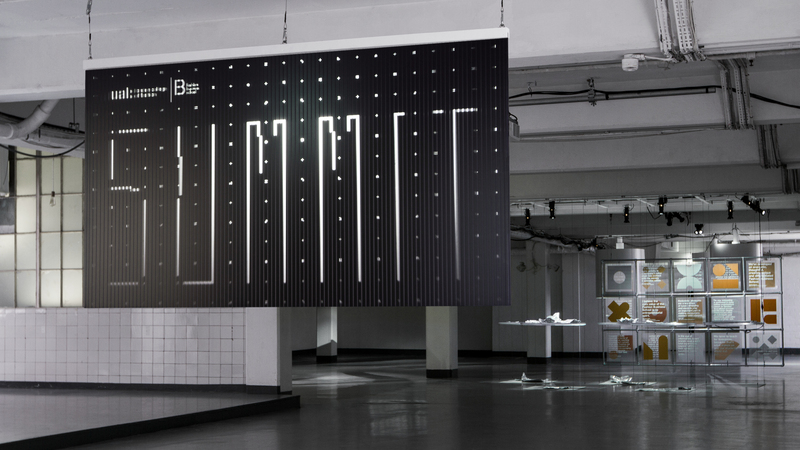 It’s a clever way to represent theoretical work and a great example of how sound, animation and 3D design can be used to promote courses to prospective students.